mairuru: Here are the winners of my 1st. Giveaway! Here are the winners of my 1st. Giveaway! Thank you very much for your comments on my Giveaway post! I wrote down all of your names on pieces and my boyfriend fold them in four. They were approx. 200 pieces!!!! I used recycled paper as always. If you got any package from me, you know that I use recycled catalog or Japanese maps to my package. 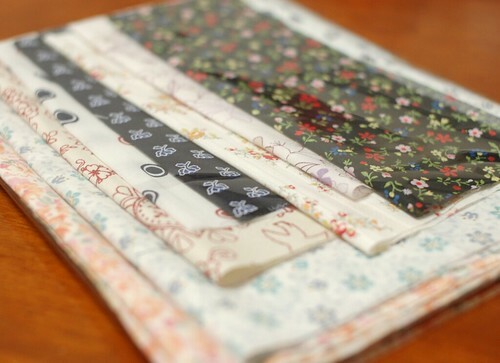 I also use recycled papers when I make patterns (* v *)! I like drawing, so if I find paper near me, I cannot stop writing or drawing on it. At first, I thought to make three boxes for each giveaway, but some people wrote their two choices. It became difficult to separate. So I put all the names in one box, and picked five names from it. !!! !Here are the winners !!!! My boyfriend picked the first winner, Annette!!!! 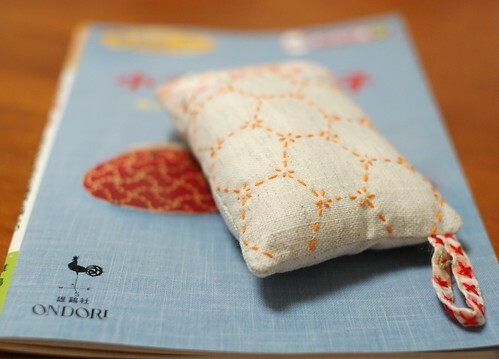 She chose the giveaway 1, Sashiko stitch book. Enjoy the book! 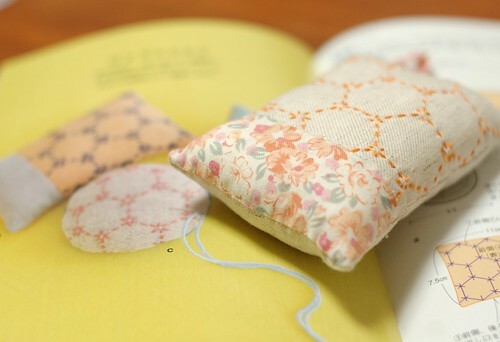 I made the pincushion with my favorite cotton linen fabric and flower printed cotton. Enjoy it also! Then, I picked the second winner, Rubyru!!!!! Oh, I cannot contact you. So please read this post, please write me!! -> maimairuru(at)gmail(dot)com ! She took the fabric bundle. I'll wait till the end of July. Please contact me!! 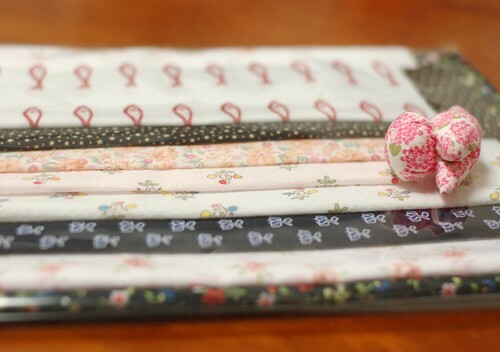 The bundle includes two fat quarters and some smaller pieces. 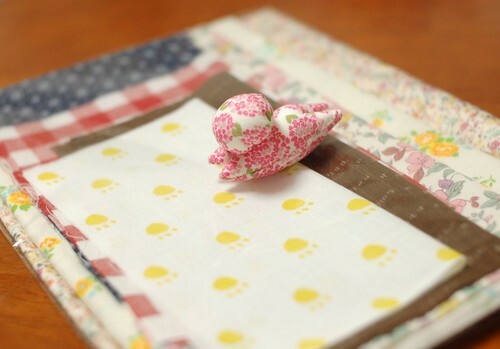 The foot stamp one is the fabric of Japanese tenugui, hand towel. I also put the sarubobo clip. He can hold only thin items, but enjoy it! Next, my boyfriend picked the third winner, WoollyGrumper!!. She didn't choose any, so I'd like to send her the giveaway 2! 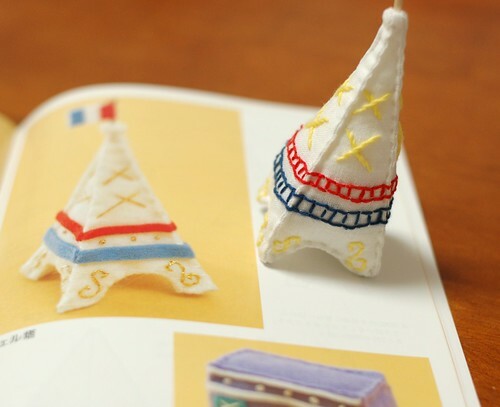 I made the Eiffel Tower with cotton linen fabric. I cut the fabric with allowance and sew it putting the right side inside. When I finished the tower shape, I sew the edge line again to make it like the felt one. It comes fat one, but I like it! Then, I picked the forth name, Morwen!!!! She chose the giveaway 1, but it's already of Annette. I'm so sorry for Morwen, but I'll send you fabric bundle. Please allow me! And I cannot see your profile. If you read this, please write me!!!! -> maimairuru(at)gmail(dot)com !!!! I'll wait till the end of July. Please contact me!! 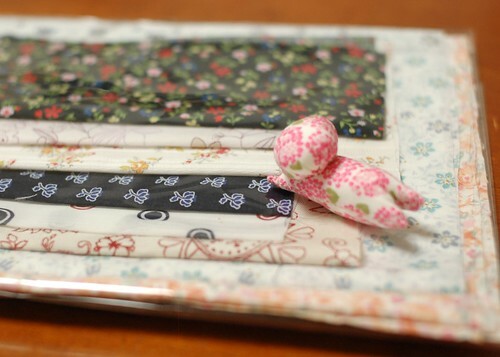 It has two fat quarters, and some smaller pieces. It includes one cotton linen piece. At the last, my boyfriend pocked the name, Jaennie!!!! She chose the fabric bundle. 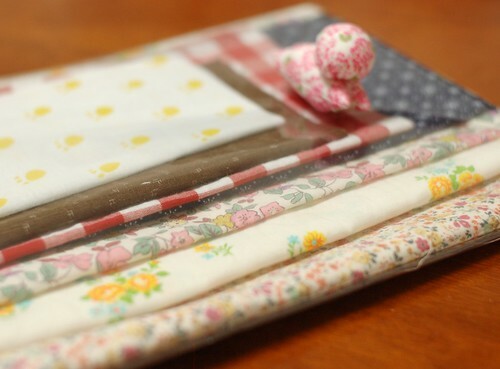 It also has two fat quarters and some smaller pieces. 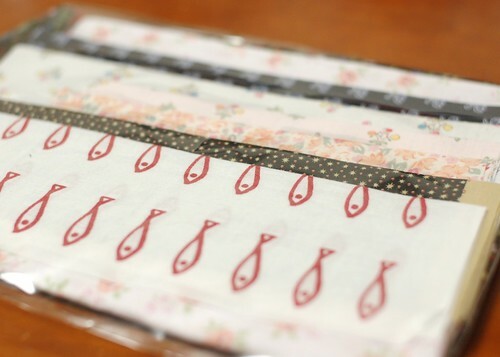 The fish print one is the fabric of Japanese tenugui, and the black star printed one is what I got more than 15 years ago. It's of Lucien. That's all five names we picked! I'm really happy to read all your comments. And I really want to pick all of your names! Thank you for join this giveaway! Oh!!! Congrats to all the lucky winners!!!! How exciting! I hope you all have fun! OOOHHH, You worked a lot for this giveaway! 200 people are interested your works, and reading your blog! How wonderful~~~! Congrats to all winners! Mai, hope your hands are okey after all the hard works to wrote all the names! 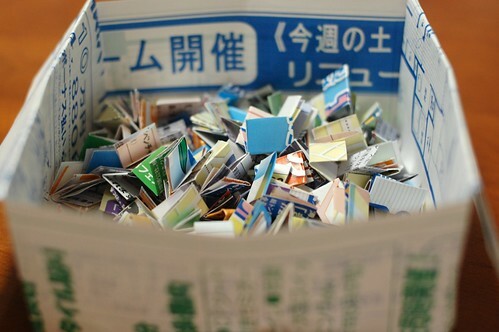 Mai - you can even make a box of folded paper look pretty! Mia, what a nice boyfriend you have to be so helpful to you. Thankyou boyfriend. adorable. everything is so cute and tiny..
hooray for all your winners! 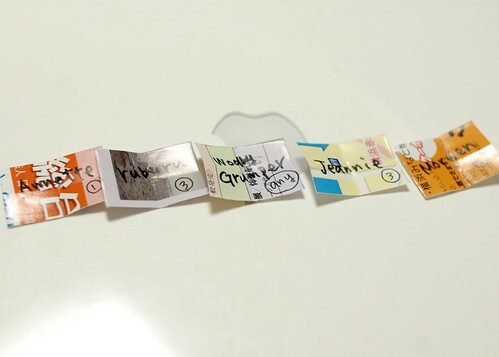 i love the way you wrote everybody's name on a cute little piece of paper. like the contest itself was a little art project. thanks so much for your website and great tutorials. I enjoyed making the name pieces! 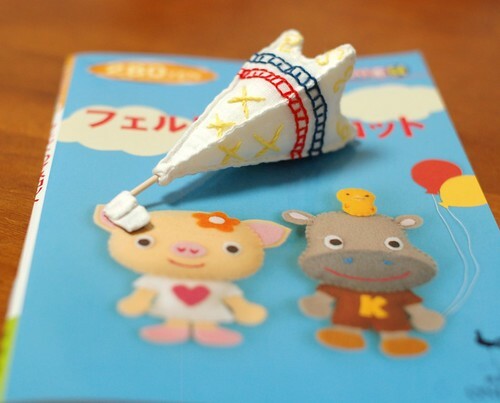 I wanted to read well your names and comments, so it was joyful time for me! Thank you so much (* v *)!!! !